Bus 472- Get off at Nicholson St.
Charles Reichman is proud to offer professional notary services for clients in Footscray. We can also assist people in surrounding northern and north-western suburbs such as Sunshine, Coburg, Brunswick, Yarraville, Braybrook, Albion, Maidstone and Moonee Ponds. From document authentication for passports and visa applications through to Apostille stamps for the Australian government, there’s nothing we can’t help you with. 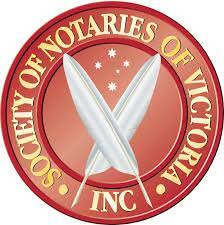 There are many reasons why you should choose Charles Reichman for notary services in Footscray. Our notary public officer boasts extensive expertise navigating the various challenges and obstacles that the migration process involves. In addition, we have established offices throughout Victoria in or close to areas with large migrant populations. Our proximity to migrants allows us to more intimately connect with their needs, allowing us to deliver more satisfying outcomes. Look no further than Charles Reichman when you need professional notary services in Footscray, including document authentication and other services. Get in touch with us today to learn more and request a quote. Alternatively, you can make a booking at your earliest convenience.